In response to Steve Wheeler’s #twistedpair prompt, I combined the British TV series Downton Abbey with the timeless classic early reader series Frog and Toad, written by Arnold Lobel. Downton Abbey and Frog and Toad both declare unequivocally that life contains many unexpected turns and outcomes. In “The Corner,” Frog tells Toad how when he was young, his father once told him “spring is just around the corner.” Frog proceeds to explore various “corners,” and encounters many things, but not spring. Congruent with this, Downton Abbey character Violet Crawley, Dowager Countess of Grantham (played by Maggie Smith) declares at one point, “All life is a series of problems which we must try and solve.” Every education experience should similarly contain “corners” and problems, sometimes uncomfortable ones, for both the teacher and the students. In the story “The Kite,” Frog is holding the ball of kite string, and Toad is running with the kite. The first attempts to get the kite to fly end in failure. Three robins who are watching laugh at Toad and tell him the kite will not fly. Each time, Toad tells Frog they should give up, and each time Frog tells him to try again. If a running try did not work, and a running and waving try did not work, and a running, waving, and jumping try did not work, I knew that a running, waving, jumping, and shouting try just had to work. In Downton Abbey, which depicts a gentrified family and their servants as they face the sweeping social changes of the 20th Century, Violet Crawley is very stately, dignified and seemingly strait-laced. Yet, not long into the series, it becomes apparent she has a great deal of compassion for the difficulty of choices her three granddaughters face. As teachers, we work with students who are also faced with many choices; influenced by their peers, their parents, their environment, and the constant media bombardment. 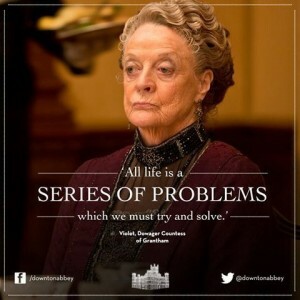 Just like Violet Crawley, we need to set a standard of conduct for ourselves that exemplifies mature adult behavior (which does not mean we cannot have fun!). At the same time, we need to show compassion, seeking to truly know our students, and to connect with them in their reality. 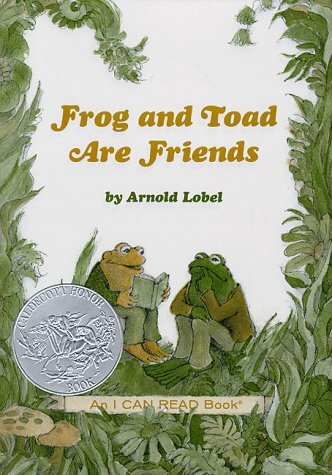 Although Frog and Toad and Downton Abbey are intended for different audiences, they both portray that human beings (which include all our students!) are complex, in need of encouragement and support, but also invigorated by challenge. “Downton Abbey Violet Crawley Quotes.” . QuotesGram. N.p., n.d. Web. 09 Oct. 2015. Fellowes, Julian. “Downton Abbey, Season 3, Episode 7.” IMDb. IMDb.com, n.d. Web. 09 Oct. 2015. Fellowes, Julian. “Downton Abbey, Season 4, Episode 8.” IMDb. IMDb.com, n.d. Web. 09 Oct. 2015. Lobel, Arnold. Days with Frog and Toad. New York: Harper & Row, 1979. Print. Lobel, Arnold. Frog and Toad All Year. New York: Harper & Row, 1976. Print.